viksilver: Silver silver bangle with balls! Silver silver bangle with balls! 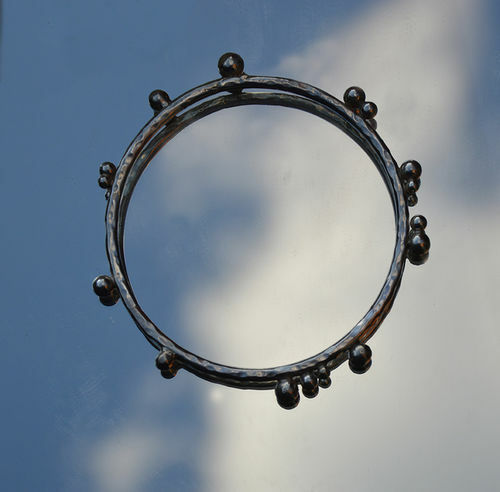 Silver silver bangle with balls and a slightly hammered texture. It is hallmarked at the London Assay Office and will come in a silver box lovingly wrapped with a purple ribbon.